Kent Family Mediation Services is a 'non-profit making' organisation, which is widely renowned for offering a professional, impartial and unrivalled Family Mediation service to people on low incomes and private fee paying clients in a growing number of accessible mediation centres throughout the County of Kent. The service holds a Legal Aid contract and is able to offer Legal Aid to those that are assessed as being eligible to claim it, giving entitlement to FREE Mediation and FREE time with a family solicitor. 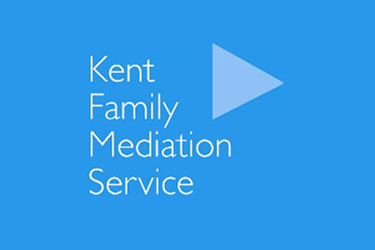 Kent Family Mediation Service is the largest provider of family mediation in Kent, holds the Government HSSF mark of qualitity in recognition of providing help, support and assistance to families and is a member of National Family Mediation; the largest mediation organisation in the UK. Family Mediation is the courts preferred way of resolving an argument, or issues that occur after a separation, or the breakdown of a relationship; including sorting out child contact, the custody of a child, child support maintenance and disputes involving money and property e.g. the family home, debts, bills, pensions, shares and savings. Family Mediation is a confidential, voluntary process where the people involved in a family dispute can communicate and negotiate with the help of a family mediator until an agreement is reached, which can then be made legally binding. Kent Family Mediation Service clients that are on low incomes, are not working, or have minimal capital assets and are assessed by the service as being eligible to claim for Legal Aid, will get FREE family mediation and FREE legal advice from a participating Kent Solicitor which will NOT have to be paid back, even AFTER a financial settlement has been agreed.